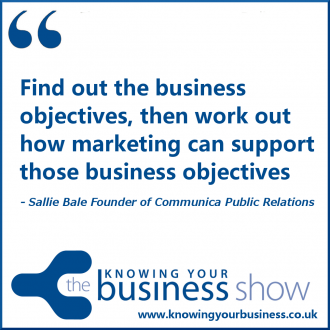 On this Knowing Your Business Radio Show we wanted to know how PR and Marketing works. Especially in the digital age. 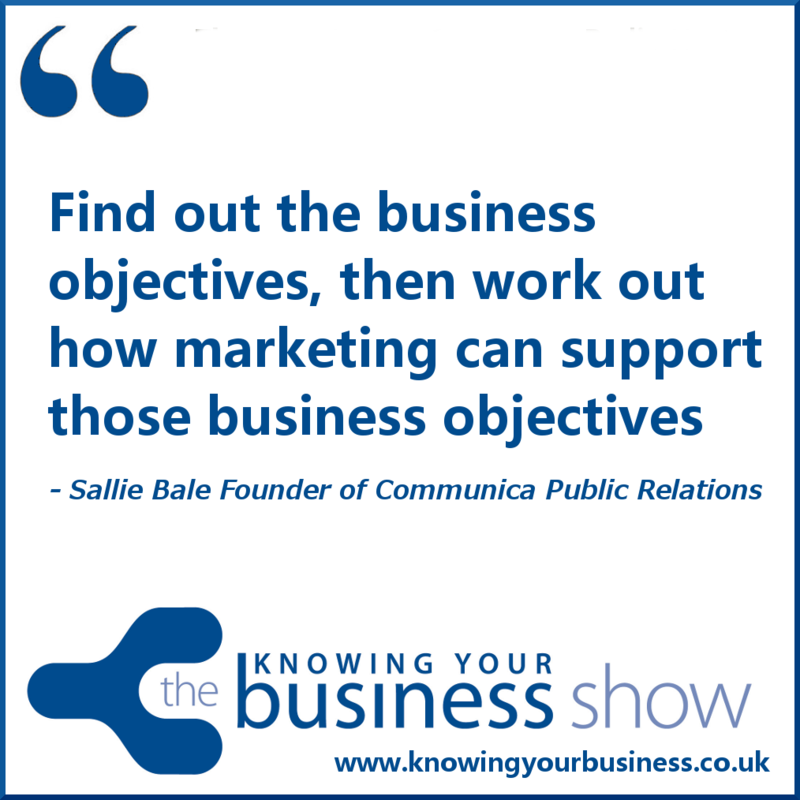 So, we interviewed the Founder of Communica Public Relations Sallie Bale, for her thoughts. We also found out what Sallie is doing differently, how she is serving her clients, why she started in business, and what the government backed Growth Vouchers scheme is all about. Asking the all important questions is regular guest presenter, and marketing & PR specialist Tracey Lee. In this snippet Tracey asks Sallie what is the first piece of advice she gives a business when she firsts meets them in terms of PR. With a background in working with international conglomerates, boutique brands and everything in between. Sallie comes from Top 10 global PR agency Hill & Knowlton, and is a member of PR governing body CIPR. She works closely with a handpicked pool of top freelancers, as well as sister company Fanatica, which specialises in digital marketing. Is an accredited adviser for the government backed Growth Vouchers scheme, and can provide up to £2,000 of free strategic marketing advice, visit the Communica PR profile for more details. Works with clients that are pushing the boundaries of their industry, and want the world to know. Working together to achieve business objectives through PR and marketing communications. Specialties: Brand Development, strategic and tactical marketing & Public Relations. Web design & build. Copy writing for marketing collateral, editorial, websites and event Management. If you have any questions for Salli, or would just like to leave a comment, please do.